HRF built this car for Brian to be a Pro Touring car that he could drive daily. This car was a body-off restored car with Hotchkis suspension in the rear. We installed larger sway bars and Wilwood disc brakes on all four corners at our Minnesota hot rod shop. 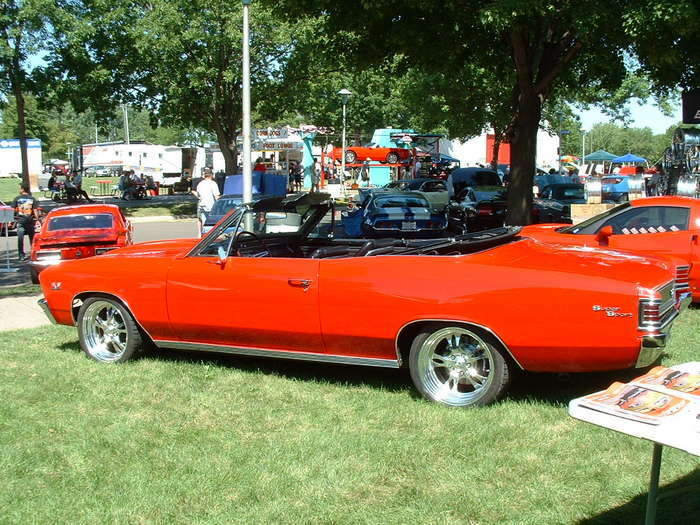 The engine is a Ram Jet 502 and is backed by a Tremec 5 speed. Billet specialties provided the Tru Trac pulley set up and 18" wheels. I drove this car about 600 miles in one weekend; what a joy this is to drive!